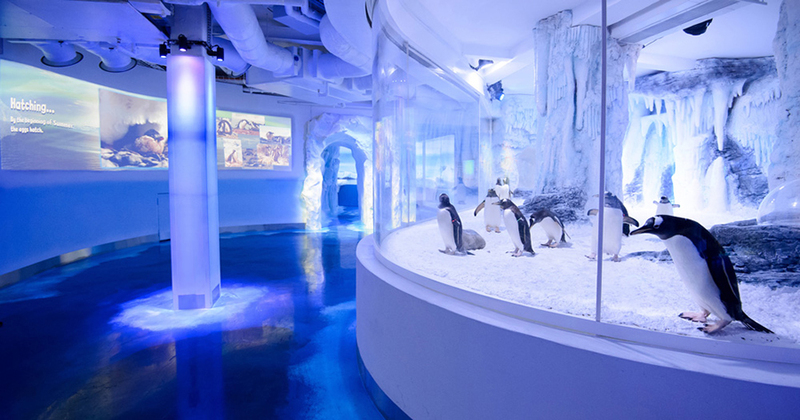 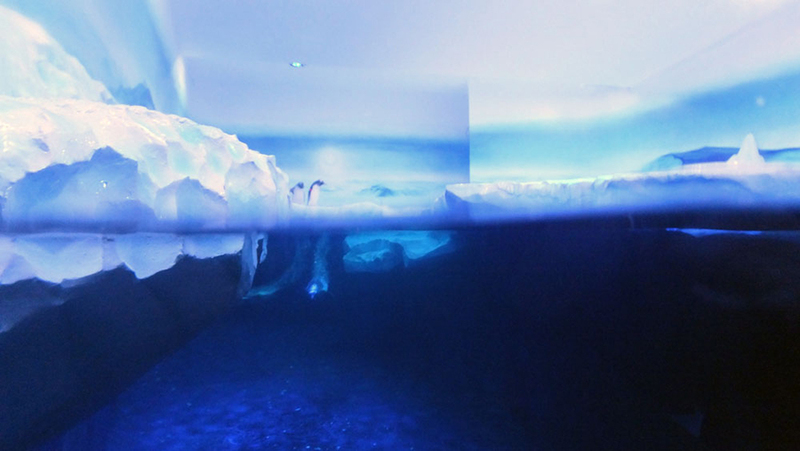 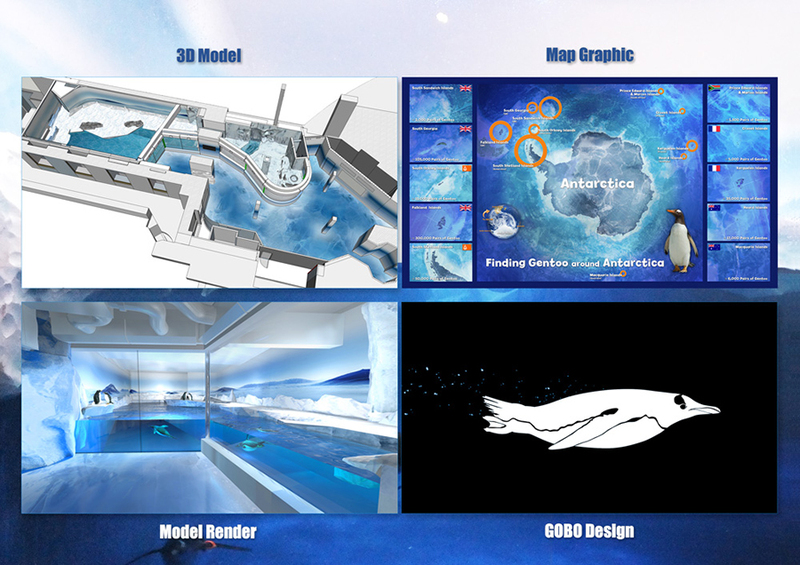 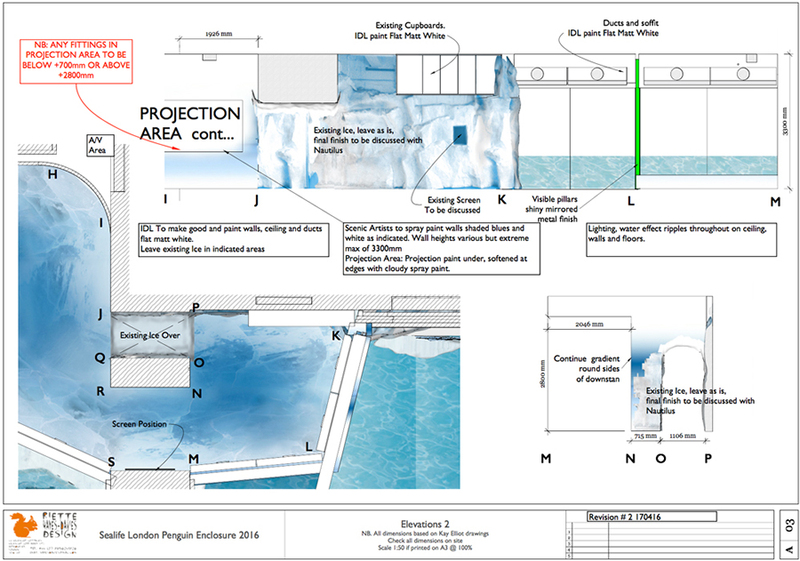 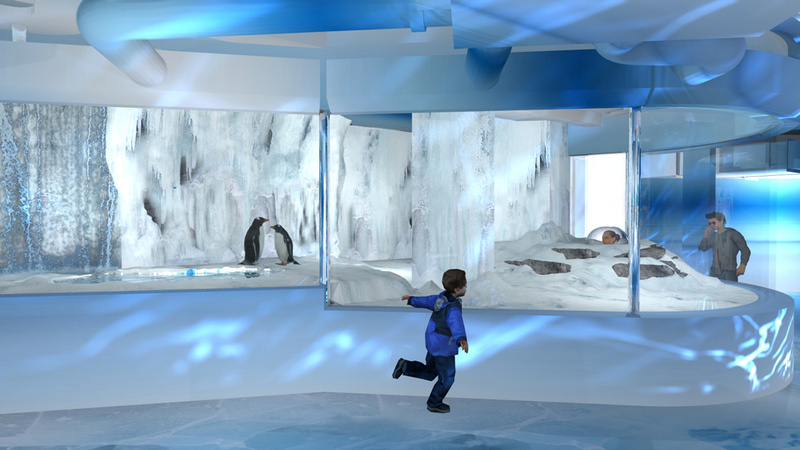 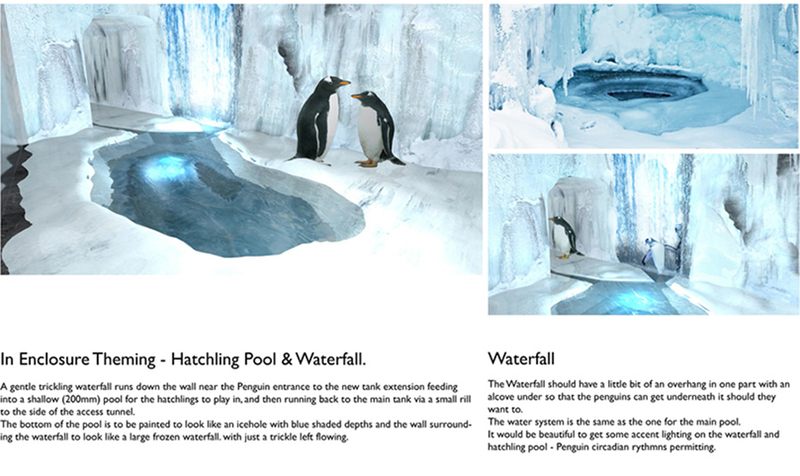 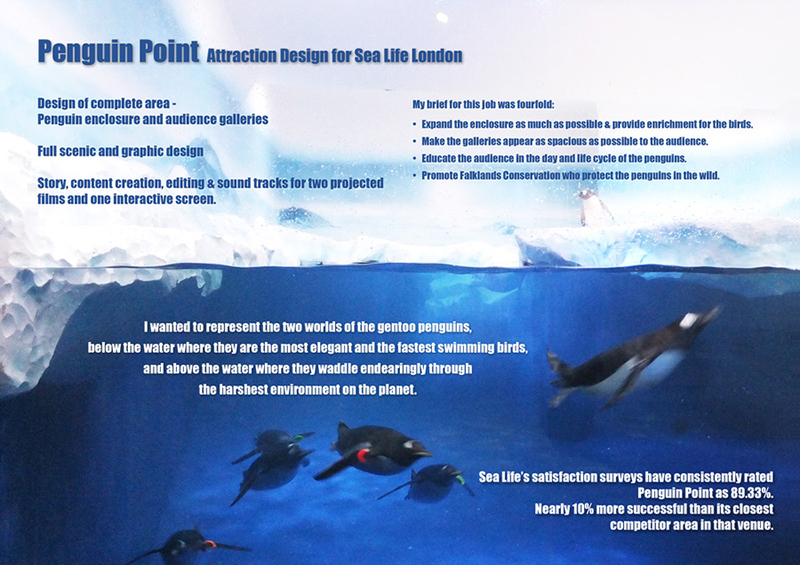 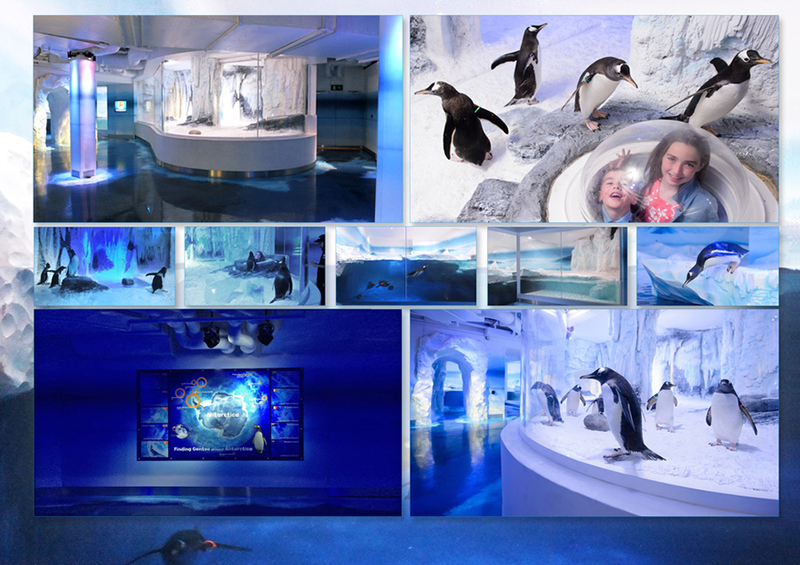 Complete Scenic Design construction and installation supervision (scenics, not base build) Concept designs, Graphics, Themebooks and research, scripts, soundtrack and editing for a 3 blended edge projector installation about the life cycles of the Penguins. 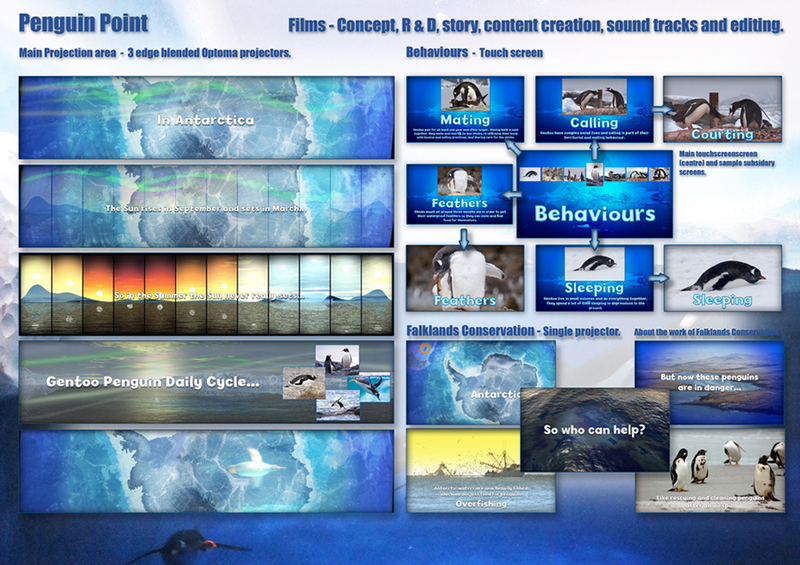 Research, soundtrack and editing for a film projection about Falklands Conservation. 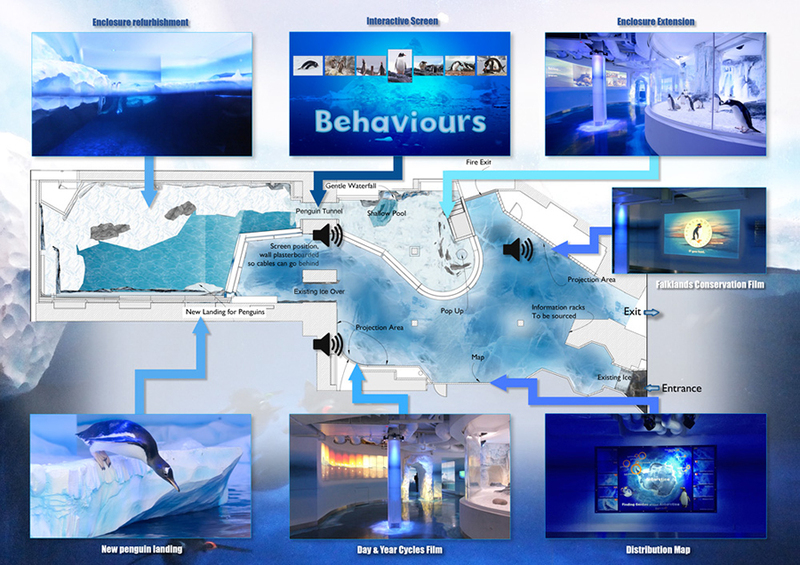 Design and graphics for a touchscreen Interactive.